Simple quick Public Enemy poster for their gig next week in Dublin. I just grabbed the cool illustration from their latest album and cleaned it up a bit. Logo for Slane Studios on Crookedwood Farm in Co. Meath. Enda wanted a new look for the studio and he knew what he was after. So it was just a case of getting it done. 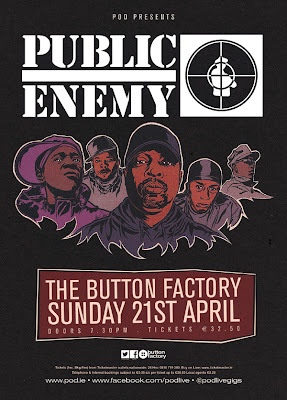 I also did up some new posters and tarted up the website a little bit. Slane Studios is a nice spot. And I'm not just saying that. 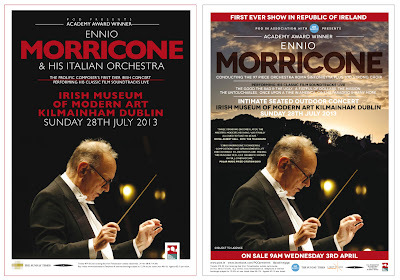 Ennio Morricone's show in Dublin this summer. On the left is the quick first draft just to get things going and on the right is the final version that went to print. 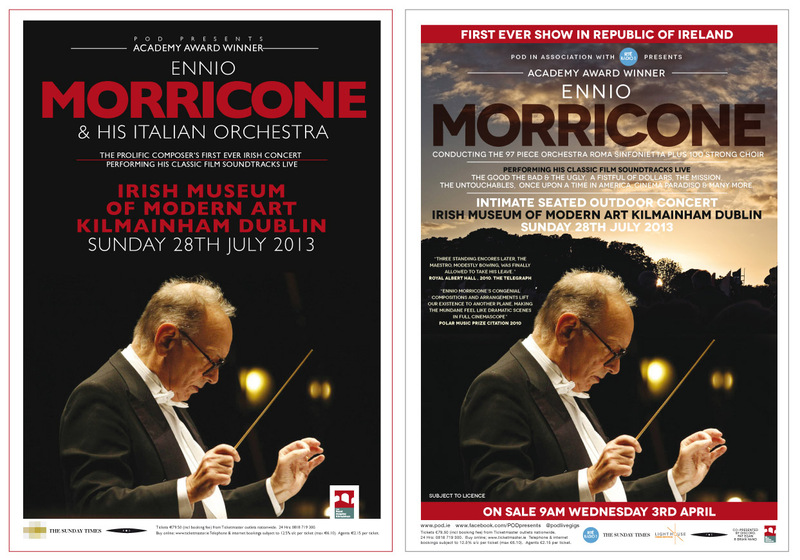 The sunset in that second one was taken while Leonard Cohen was onstage at IMMA last year.